Santa Paws is Coming (Back!) to Town! 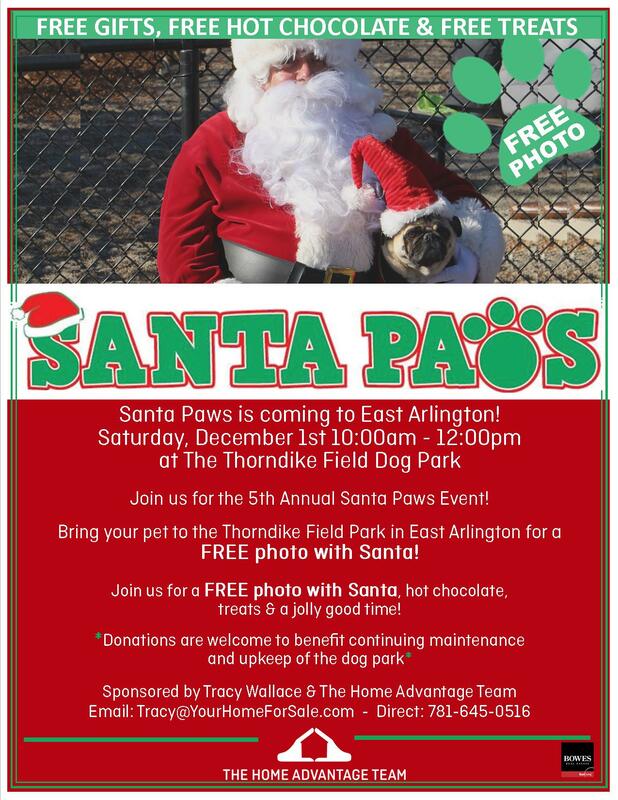 Join Tracy Wallace of The Home Advantage Team for the 5th Annual Santa Paws! Bring your pets for a FREE picture with Santa, along with hot chocolate, gifts (for you), treats (for them) and a fur-tabulous way to get into the holiday spirit! Donations to benefit the dog park are welcome!